October in Cabo marks the very beginning of the tourist season and one of my favorite times to visit Baja California Sur. You can feel the excitement in the air as restaurants and other businesses that may have taken August and September off for their own vacations start to open their doors again. The grey whales begin their journey to warmer waters from Alaska – they will reach Cabo in late November, early December. The air is still warm, the water still bearable and there are still many “off-season” discounts to be found. Visiting Cabo in October? Here’s a guide to the best of Cabo in October. Mid-October marks the end of the rainy season in Cabo as the Pacific Hurricane season comes to a close. However, it only rains about 6-8 days the whole year in Cabo. So most of October in Cabo will be sunny and beautiful like Cabo weather is year round. 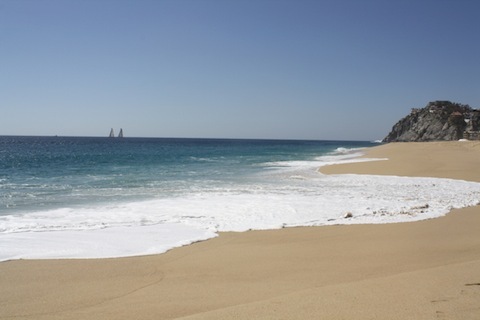 The average temperature in Cabo during October is around 85 to 90 degrees with nights in the high end of the 70s. The water temperature in October is a bit cooler, averaging around 75 degrees. Fishing is all the range in Cabo during October as it’s tournament season. While fishing in Cabo is good year round, October marks the end of season when the marlin are most prevalent in the Cabo waters. Black and Black Marlin are commonly caught as well as large Tuna, Doroado (Mahi – Mahi) and Sailfish. Sea turtles lay their eggs on the Cabo beaches in July and August and the baby sea turtles usually hatch between September – November. This means that if you are looking to be part of a Sea Turtle Release, October is the perfect time. Many tour companies in Cabo, hotels and other companies host sea turtle releases where visitors and locals can help release the baby sea turtles to the wild. October is a great time to go scuba diving in Cabo as the water is still relatively warm (75- 80) and the visibility is great (40-90 ft). Experienced divers can take a trip to Cabo Pulmo, the only coral reef system on the western side of North America or swim with the whale sharks at Gordo Banks. Whale sharks gather in the Gordo Banks area from June to November. There are also many programs and sites for beginner divers in Cabo. Los Cabos has some excellent championship golf courses designed by famous names such as Jack Nicklaus and Greg Norman. However, the fees to play some of these courses can be pretty steep. October is a good time to play golf as the fees usually don’t increase to their highest until November or December. 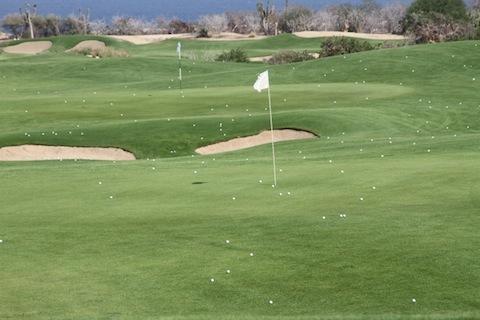 There are low season and high season rates at almost all of the golf courses in Cabo. Also, the heat in October will not be as bad as in July, August or September. The little rain that Cabo gets is usually around September, early October so the courses will be fresh and green. Held in mid October, the Bisbee’s Black and Blue (sometimes just referred to as the Bisbee’s) is the mecca of all deep sea fishing tournaments. With the winners’ purse usually in the millions, this Cabo fishing tournament brings some of the best in the business into town. Even if you are not participating in the tournament, the Bisbee’s is popular to watch due to the giant marlin that the fishermen bring in. Ever seen an 800 lb fish? Here’s your chance. There are also booths and events in the marina. Every October, Sammy Hagar (of Van Halen and founder of Cabo Wabo) holds a multi- day “Birthday Party” complete with live music and lots of fun. As Sammy was born on October 13th, the Birthday Bash is usually around the second week of October. Tickets go on sale in late July and the concerts sell out pretty fast. While Halloween is traditionally a U.S holiday, Cabo San Lucas has adopted many of the festivities. Some of the local children even go trick or treating! Hotels, bars, restaurants and other businesses will have Halloween decorations and parties. And plenty of people will be in costume on and around the holiday. While Day of the Dead (Dia de Los Muertos) actually takes place on November 1st and 2nd, many hotels, restaurants and local businesses start preparing for it in late October. Throughout Los Cabos, you’ll see the traditional decorations such as skulls and marigolds. Many of the candles will be lit at the altars on October 31st as the souls of the dead are said to arrive at midnight. If you stay through the first days of November, you will be able to see many celebrations take place. 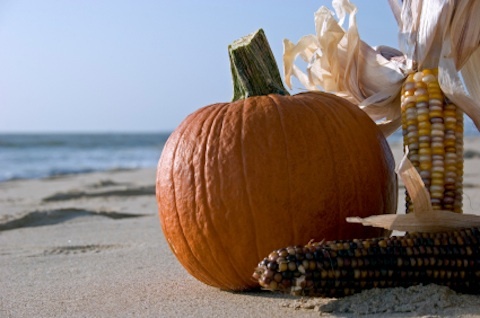 Check our calendar for more October Events in Cabo. Have you visited Cabo in October? What was your favorite thing about it?